Andrea Catzel was born and raised in Cape Town, South Africa, making her stage debut at age four. A graduate of the University of Cape Town Performer’s Diploma in Opera, Ms Catzel launched her professional career in musical theatre. 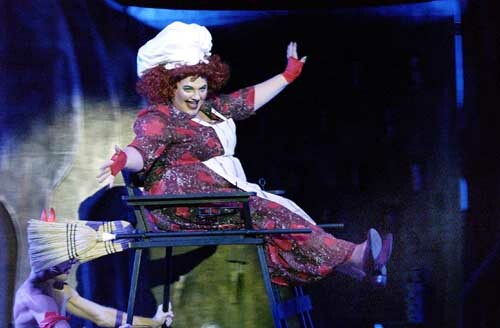 Roles included Eliza (My Fair Lady); Irene Malloy (Hello Dolly); Mother Abbess (The Sound of Music) and Grace (Annie). Through the introduction of Spanish Conductor, Enrique Garcia-Asensio, Ms Catzel was invited to sing for world-famous mezzo-soprano Teresa Berganza in Madrid. After completing one year of advanced voice training and masterclasses in Madrid, she returned to South Africa where she joined CAPAB Opera in 1986 as Principal Soprano. She sang many leading roles to wide critical acclaim, twice winning the ‘Nederburg Opera Award’ for performances of Desdemona (Otello) and Elsa (Lohengrin). In 1991, she won the South African Airways (SAA) Performer of the Year award. Her operatic repertoire includes: Mimi (La Boheme), Eva (Die Meistersinger von Nurnberg), Agathe (Der Freishchütz), Ariadne (Ariadne auf Naxos), Marschallin (Der Rosenkavelier), Fiordiligi (Cosi fan Tutte), Donna Anna (Don Giovanni), Countess (Marriage of Figaro), and Senta (Der Fliegende Holländer). On the invitation of Reinhard Schwarz, General Music Director of the Gärtnerplatz Theater in Munich, she joined the ensemble as Principal Soprano. Her roles included: Donna Anna (Don Giovanni), Fiordiligi (Cosi fan Tutte), Ariadne (Ariadne auf Naxos), Agathe (Der Freishchutz), and Anna Maurrant (Kurt Weil’s Street Scene). Her next engagement was at the Giessen Opera House, near Frankfurt, where her roles included Tosca and Medea (Cherubini) in an acclaimed first European production of the original French version with spoken dialogue. While in Europe, Ms. Catzel also performed in France, Holland, Austria, Spain, Italy & Iceland, in numerous Opera, Operetta & Concert performances. Her concert repertoire includes: Verdi “Requiem”, Mozart “Requiem”, Britten “War Requiem”, Rossini “Stabat Mater” and Beethoven “Ninth Symphony”. 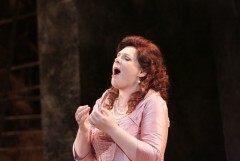 In particular, she has been acclaimed for her interpretation of Richard Strauss ‘Four Last Songs’. In 2001, Ms Catzel returned to South Africa, to teach at the University of Cape Town’s College of Music as Voice Lecturer. She also was vocal coach for the Cape Town Opera’s Choral Training program as well as running a private voice studio, teaching opera, musical theatre and crossover. A resident of Sydney, Australia as of 2005, she is an active vocal consultant, teacher and performer. 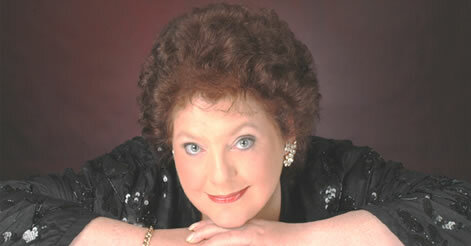 She has recorded frequently for radio and television, including five CD’s, all available internationally. Her recordings include Spanish Art Songs, Verdi Requiem & two albums of Respighi Songs for the Netherlands label Chanel Classics. Ms Catzel is thrilled to be performing her favourite role as the Marschallin in “Der Rosenkavalier” in May 2010 for Cape Town Opera and dedicates her performance to her beloved vocal mentor, Nellie du Toit. 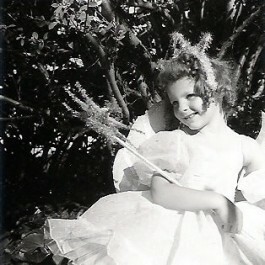 Andrea as a fairy, age 5! 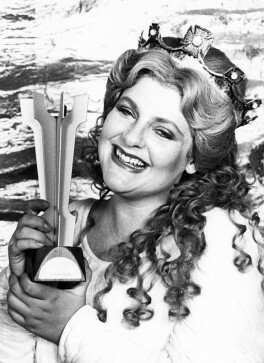 Andrea holding her "Nederberg Opera Award" for her performance as 'Elsa' in "Lohengrin" in 1989.